A perfect turner with a generous face and a bevelled edge to slide under food. 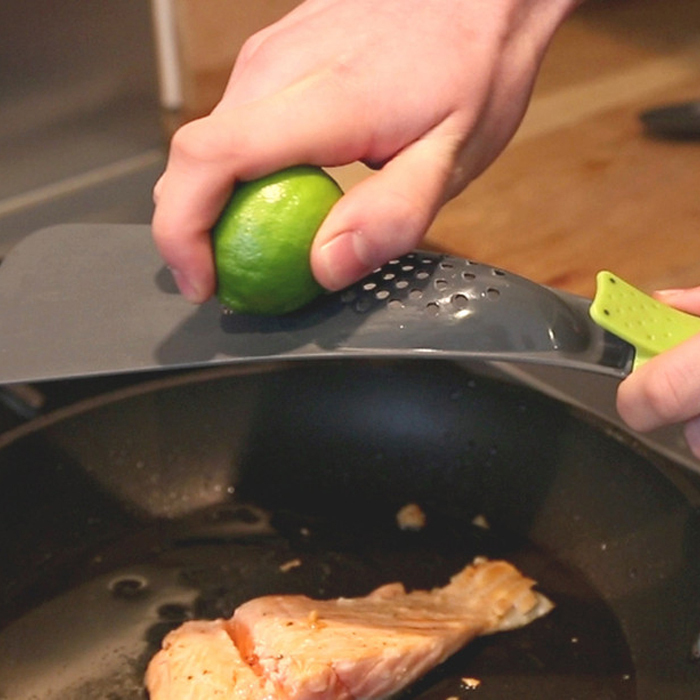 The rearset strainer gives you complete control over the amount of oil and juices you serve with food. 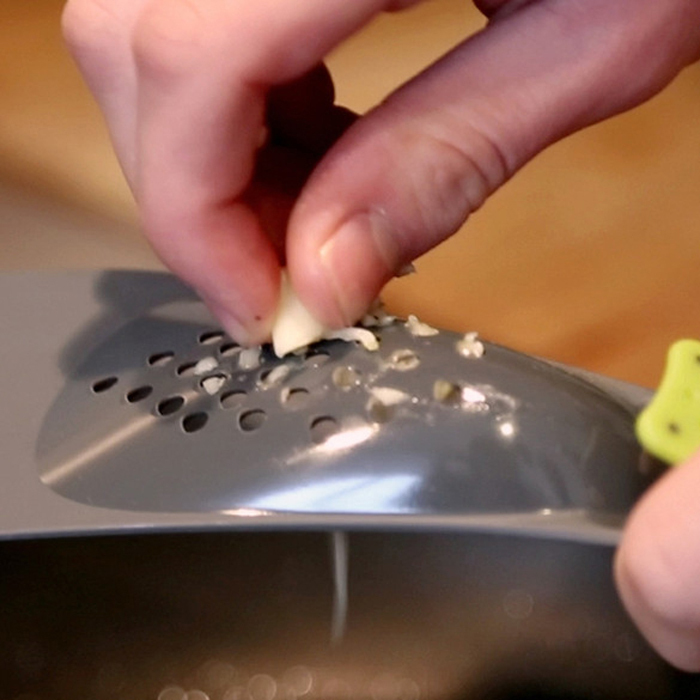 But things get really clever when you turn Flipp over, as the strainer apertures can be used as a grater for cheese and garlic or a citrus zester, helping to add flavour straight to the pan. 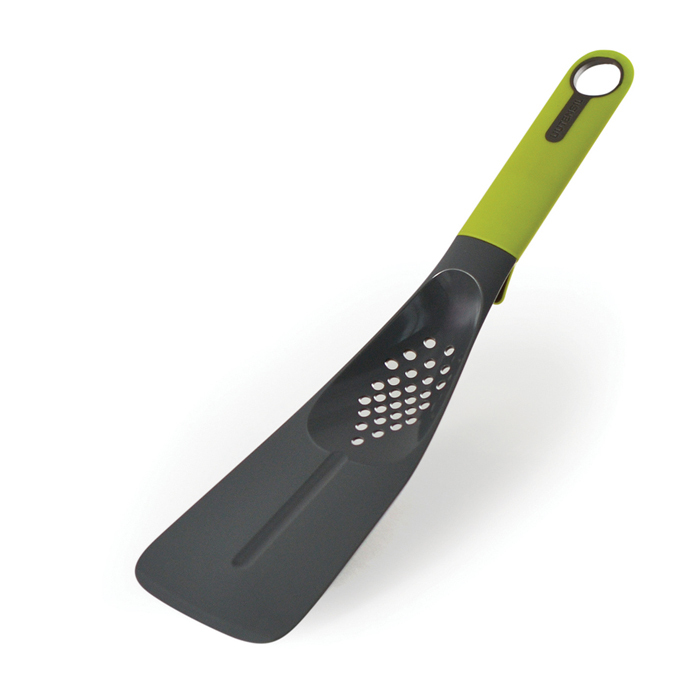 Designed in tough nylon, heat safe to 200°C with a soft touch handle.